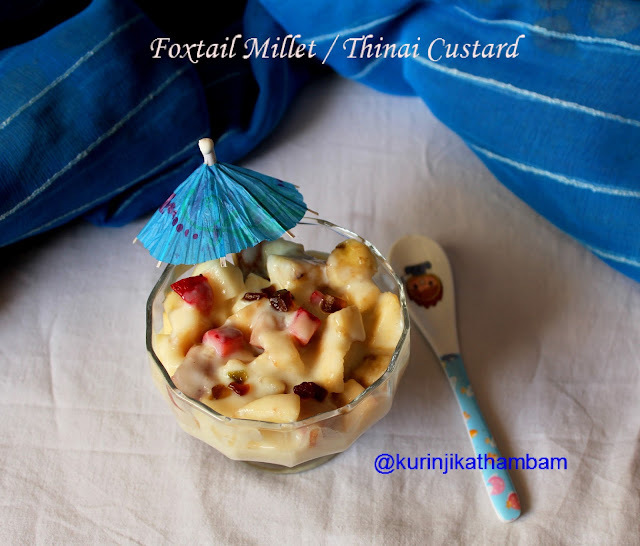 During summer time, we all prepare fruit custards. We buy the custard powder and use it. 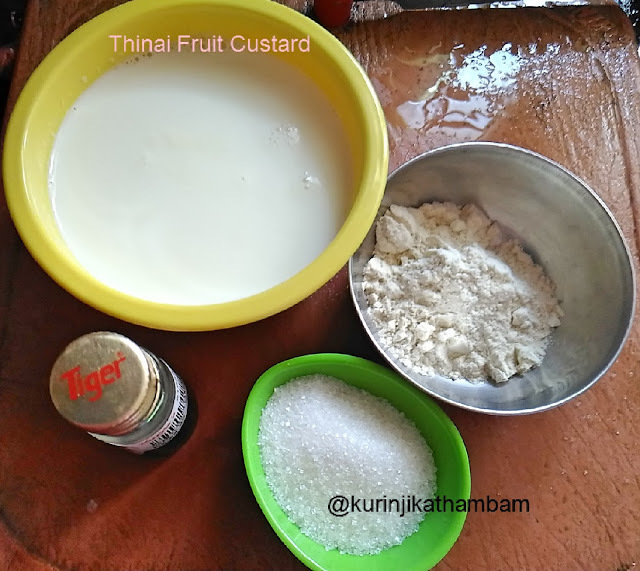 Why not use thinai instead of custard powder? This idea was suggested by my mother. I tried it and it came out really well. Thinai Custard is a very good way to make kids take millets disguisedly. 1. Take the foxtail millet flour in a small bowl, add ¼ cup of milk and mix them well without lumps. 2. Boil the remaining milk, add sugar and mix them well. Keep the flame at simmer. 3. After sugar has dissolved, add the mixture (from 1) and cook till the mixture becomes little bit thick. At this time, you can stir continuously without lumps. 4. Switch off the flame, add vanilla essence. Then allow the custard mixture into cool down completely. 5. 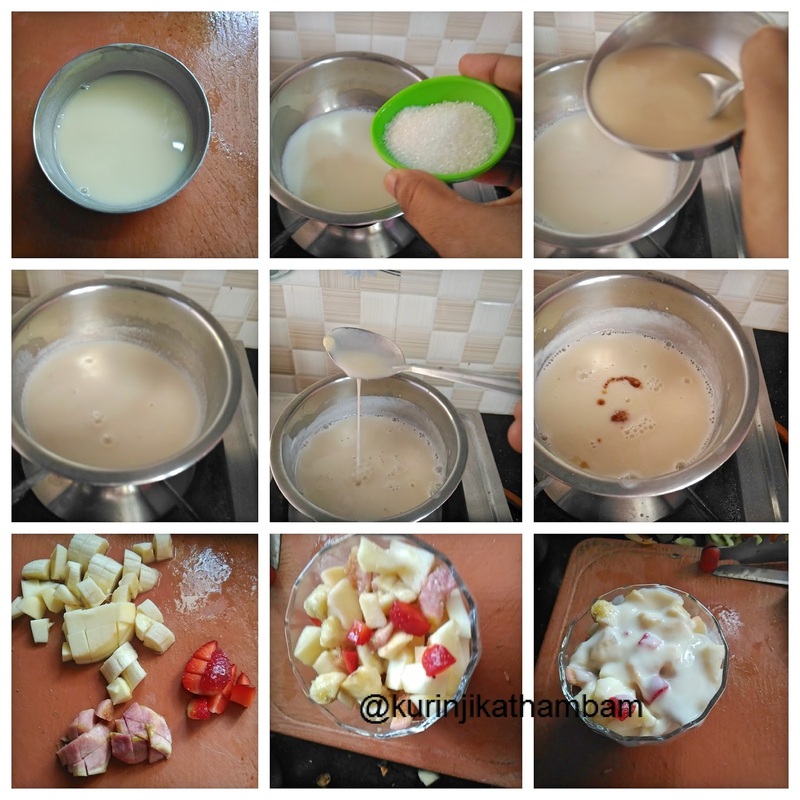 Refrigerate this mixture for atleast half an hour or till you can serve. 1. I have used mixed fruits but you can use any single fruit also. 2. Adjust the sugar level according to your taste.